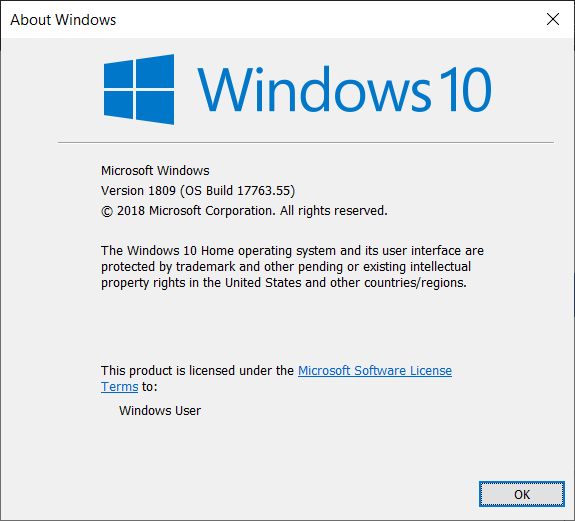 Back on October 2nd, Microsoft announced general availability for the latest update to Windows 10, the Windows 10 October 2018 Update. The new naming is improved over what they’d been doing in the past, where updates were called Creators Update or Fall Creators Update, and hopefully this continues. As a version, this update is Windows 10 1809. But of course, the October 2018 Update wasn’t really available in October after all, since shortly after it was released for users to install manually, several serious data loss bugs were discovered that had slipped through testing, and the update was then pulled. There’s been plenty of discussion online on how this happened, and why it’s happened, but regardless, it’s caused a rather sizeable delay in the actual rollout of this second update for 2018. This is unfortunate on a number of levels, with the first being that these bugs were actually reported during the preview releases to the Windows Insider Program, but they weren’t actioned, and second, as Windows 10 has matured since it first came out in 2015, the hope has to be that with fewer major feature changes in each update, updates should be less intrusive and cause fewer issues, but clearly Microsoft is not quite there yet. They’ve made some changes to the Insider Program, but time will have to tell if that helps or not. We’ve not heard of any changes to the current servicing model of two updates per year, although with both of the 2018 updates having major issues causing them to halt deployment, there’s still some concern over whether the current method is sustainable for Microsoft, and of course for the millions of business customers who have to test and maintain the OS in their companies. But with the preamble out of the way, there are still quite a few new features for Windows 10 in the October 2018 Update which should make workflows a bit easier to manage, as well as plenty of smaller updates which we’ll go over as well. Microsoft has been focusing more on productivity features for Windows 10, which fits in well with where the operating system is most used, but they continue to improve security, privacy, and accessibility as well. Let’s dig into some of the new features coming with the Windows 10 October 2018 Update.